Tuberculosis (TB) is a major public health problem in India having significant impact on the health and economy of the country. India is the highest tuberculosis burden country in the world, accounting for nearly one-fifth of the global incidence. Utkal Sevak Samaj is implementing the Akshya India Global Fund R-9 TB project supported by LEPRA Society in Angul and Cuttack District of Odisha. The project aims to contribute to the efforts of RNTCP to reduce TB-related morbidity and mortality by expanding its reach, visibility and effectiveness. The strategies include advocacy communication and social mobilization to improve TB services, especially for women, children, vulnerable and TB-HIV co-infected populations. 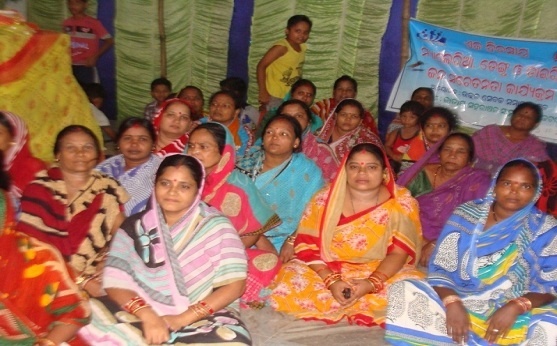 Training of Women PRI representatives on their duties and rights. Increase awareness of TB and its related issues. 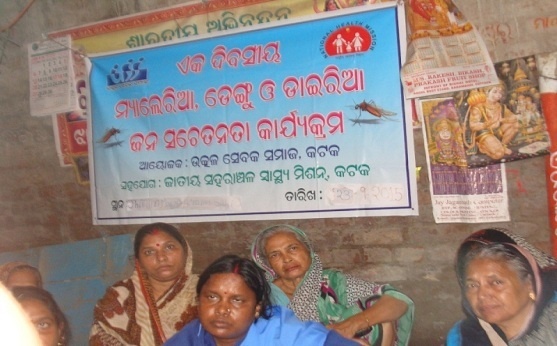 Accelerate advocacy through Odisha Rajya Rogi Adhikar Mancha (Orissa Patients Rights Forum). Mobilize local government bodies and community- based organizations (CBOs) to adopt the rights-based approach on TB Care. Improve engagement of all care providers, systematically improving their interface with the general health system and with the RNTCP. Address TB in the workplace and preparing communities to understand and execute their evolving role in the context of treatment relapse, drug resistance and co-infection with HIV. 116 Gaon Kalyan Samiti and community meetings were held and sensitized about care and treatment of TB and its co-infection with HIV. 5 soft skills training organised for health workers/ASHA s to improve their interaction with patients ensuring greater satisfaction. 4 TB Forum meetings were organised. Cured patients, DOT providers, local influencers, media persons and local civil societies participated in the program. In Angul, 903 Sputum collection samples delivered to DMCs across project area for examination and 31 cases found positive. 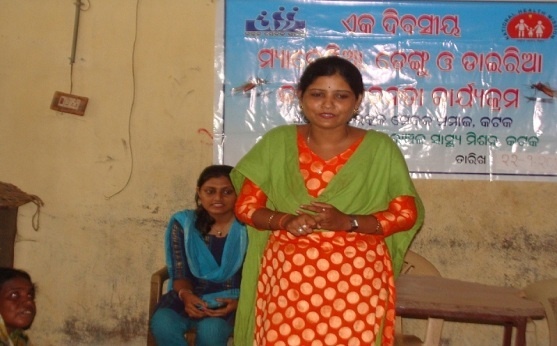 In Cuttack 350 sputum samples collected and 21 cases found positive. 250 patients interrupting treatment were traced and put on DOTS again. Angul and Cuttack district of Odisha, India. Mr. JoginathPradhan (Jogia), 25 Years Young Tribal Man ( Sabara Community) from Mahuria Village, Ward No: 7 Gobara Gram Panachayat of Athagarh block , Cuttack District, He is the elder Son of Late krushna Chandra Pradhan and BengaPradhan. He Studiedup to 8th class. He is a daily wage Labor de-pends on Cultivation and Forest Collection. Besides, he is a good Traditional Singer. 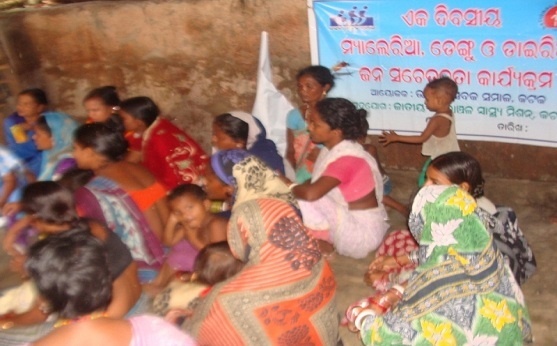 The Village mahuria and other 10 Villages are most remote villages of Cuttack District having no com-munication facilities, no Health, Education and Government Institutions. The Villagers are facing lots of probems during rainy season due to mud road. Mainly for servere health problems like, malaria, jaun-dice, pregnant cases for delivery, the people use to seek Jogia for who send them to nearest PHC (Berhampur) with the support of 4 people Carriage (Khattia). JoginathPradhan first came to lime light during one District level RHCP Training held at Rajbati, Manga-rajpur, Choudwar, Cuttack As a Traditional healer, he participated actively and expressed his interest and willingness to identify and refer the TB suspects to nearer DMC and collect and transport the spu-tum samples to DMC and provide Anti TB treatment to TB Cases if properly trained. After RHCP training, with the utilization of learning’s (The knowledge and skills gained from training) JoginathPradhan involved actively in TB Awareness Activities and motivated the tribal people of the locality those are having symptoms of tuberculosis and also mobilized them for sputum examination. 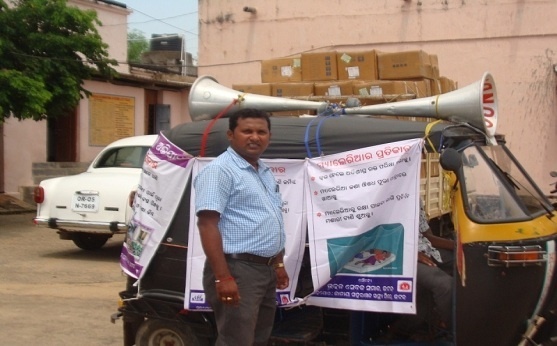 Lastly he made a mechanism and put 3 to 4 people at a time and collect transportation money from each individuals and hire a tempo/auto to transport sputum samples from respective villagers to Berhampur DMC. Till now he has referred 11 TB sympotomatics out of which 4 persons found positive. Put them under DOTS statergy and 2 TB patients are cured. Jogia for his good work is now selected as a DOTS provider by STS of Banki TU and LT of BramhaPura CHC. After designed as DOTS PROVIDER, he is very much happy and interested to play a vital role in this tribal area in TB Control. Presently 5 Patients are taking Anti Tuberculosis Treatment regularly from JoginathPradhan. 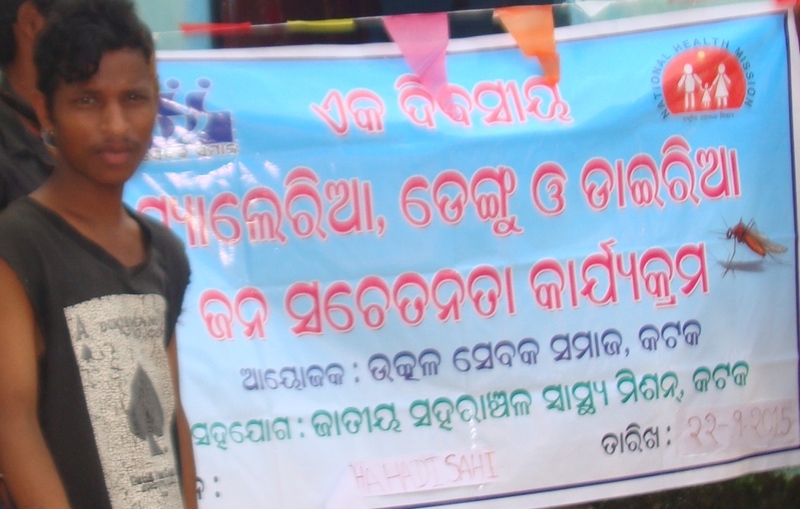 Joginath also committed to the Causes of Tb Control and playing # Roles at a time (Health Educator creating awareness on TB among the villagers of his locality , Sputum Collector and transportation hold-er and DOTS provider). Copyright © 2014 Utkal Sevak Samaj - All rights reserved.